If Pandora, Spotify, Google Play Music All Access, Rdio, Rhapsody, or any of the other streaming music services just haven't been able to deliver the experience you're looking for, make way for the newcomer to the scene: Beats Music. It's launching January 21st with support for Android, iOS, and Windows Mobile (aside from the desktop, of course), and actually brings a couple of features that the other guys should pay attention to. For starters, Beats will offer a family plan (!) for just $14.99 a month; the downside, however, is that it will only be available for AT&T subscribers with multi-line accounts. Hopefully that will go well and the option will eventually extend to users not tied to AT&T (or other services will take note that this is something users actually want). The family option will allow five members to stream Beats Music to up to ten devices (assume that's two per person), which includes streaming to multiple devices at the same time. That's pretty huge. To make it even better, AT&T customers will be offered an unprecedented 90 day free trial for their family to ensure the service is right for them. This option will be available beginning on January 24th and will be billed directly to the users' AT&T account. For single subscribers, however, Beats is pretty much par for the course. Ten bucks a month will allow unlimited streaming of the 20 million song catalog, but it's only good for three devices. If you happen to have more than that, you'll have to pick and choose which ones you'll end up streaming from. Hopefully there will be a quick and painless way to de-authorize devices, much like with Play Music. Single subscribers will get a 30 day free trial of the service, which should be enough to discover if it's better than the other options. At launch, all music fans are invited to a free trial of Beats Music, after which a $9.99/month subscription fee will apply. The service will be available on iOS, Android and Windows Phone as well as via the web beginning January 21st. Fans can stream their music or download to listen offline. "Beats was created so people could hear the music the way the artists intended, but speakers were just the first step," said Luke Wood, President of Beats Electronics. "Beats Music is the final piece in making that vision a reality." Beats Music also features a comprehensive collection of editorialized playlists from some of the most well-respected music brands in the world, including Pitchfork, Rolling Stone, DJ Mag, Country Weekly, Hot97/Power 106, among many others. “Beats Music combines the emotion only a human created playlist can give you with the best personalization technology can deliver, ” said Ian Rogers, Beats Music CEO. “With this you get not just the music experience only a talented DJ or music expert can deliver, but also the right one for you right now." Just For You: A personalized selection of albums and playlists delivered at least 4 times a day to each user. Selections are delivered based on users’ musical preferences, time of day, activity, and additional cultural and contextual clues. Right Now: A continuous playlist compiled from users’ answers to four specific questions about their location, their activity, their surroundings, and their musical preference at that moment. Highlights: Beats Music editorial staff-recommend playlists or albums compiled based on time of year, news, cultural milestones, and new releases worth noting. Find It: An enhanced browsing function that lets users seek out playlists [and individual songs] by genre, activity or curator. Beats Music is committed to the principle that music has real value and will be acting accordingly by paying the same royalty rate to all content owners major and indie alike, while simultaneously providing a platform for fan interaction. Through an exclusive deal with AT&T, Beats Music will be available to AT&T wireless customers on a multiline account for $14.99 a month. AT&T and Beats Music make it easy for families to enjoy the music they love all under one plan. Up to five family members across 10 devices can access the Beats Music service and get their own personal music on their own personal devices. For a limited time, only AT&T wireless customers who subscribe to the family offer of Beats Music get the first 90 days free. AT&T customers who don’t qualify for the family offer can subscribe to Beats Music Individual for $9.99/month and will receive the first 30 days free. Beats Music will also be available in AT&T stores and online at www.att.com/beatsmusic on January 24, 2014. Beats Music has selected Target, one of the largest music retailers in the country, as the exclusive retail partner to curate playlists for the streaming service, and the only place to purchase prepaid Beats Music gift cards. Target will curate a varied mix of music inspired by the retailer’s rich heritage of music and entertainment offerings, as well as its spirited brand essence. Beats Music prepaid gift cards will be available only at Target in denominations of $10, $25 or $50, for guests who want to give subscriptions to friends and family. As part of the partnership, Target will offer guests a free one-month trial of Beats Music with any purchase made at the Electronics & Entertainment counter the week of Jan. 26. 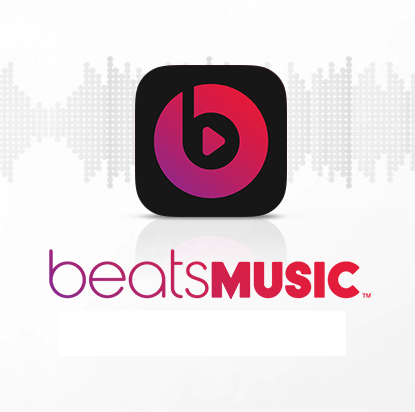 For more about Beats Music please visit the company site: www.beatsmusic.com.